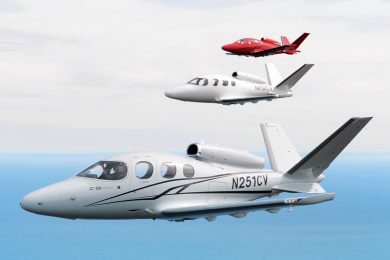 In the vicinity of Embraer’s headquarters in São José dos Campos, Brazil, a small company plans to launch an aircraft capable of replacing no less than the EMB-110 Bandeirante, the pioneer project of the Brazilian manufacturer that will mark 50 years of its inaugural flight on 22 October. 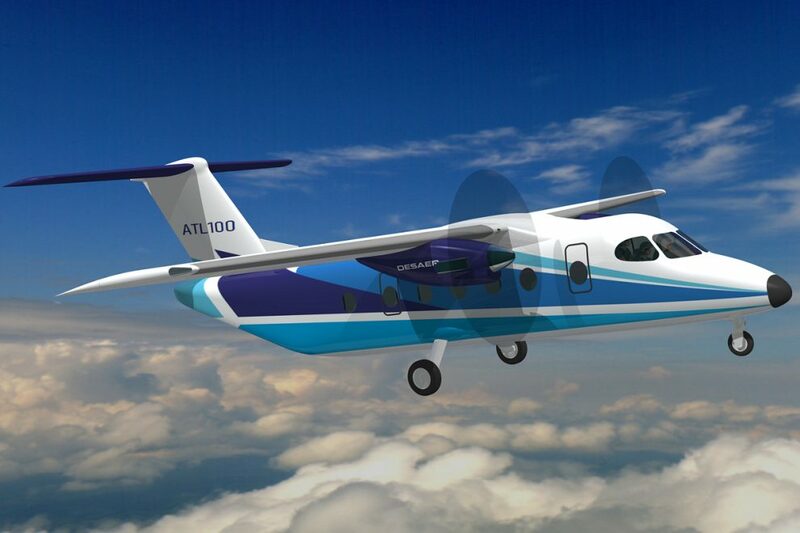 Desaer (short for “Aeronautical Development”) this week presented the first details of the ATL-100, a high-wing turbo-propeller, fixed landing gear and no pressurization, as well as the well-known Embraer aircraft. 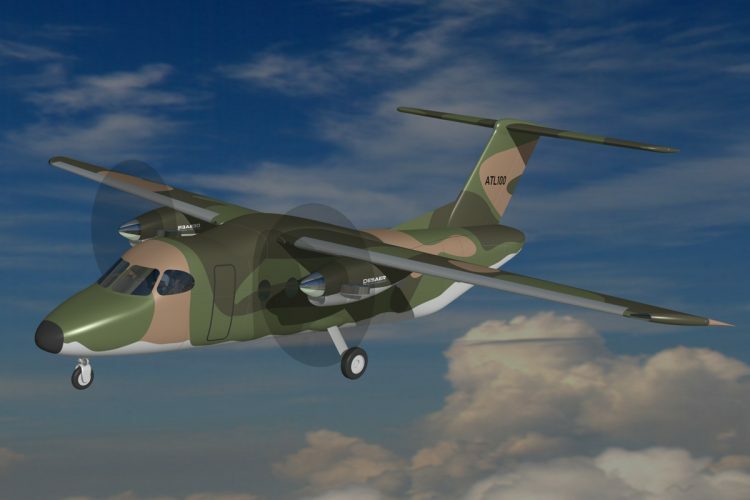 “The ATL-100 is a 100% national project and can meet the demands of the Brazilian military and the regional air transport of the country and other nations,” said Evandro Fileno, a former Embraer engineer and one of the founding partners of Desaer. Formed by Embraer’s former employees, Desaer is based at Incubaero, an innovation facility located at DCTA – Department of Aerospace Science and Technology, where Bandeirante was created five decades ago. 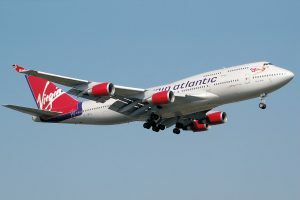 The company’s plan is to turn the ATL-100 into reality over the next four years. 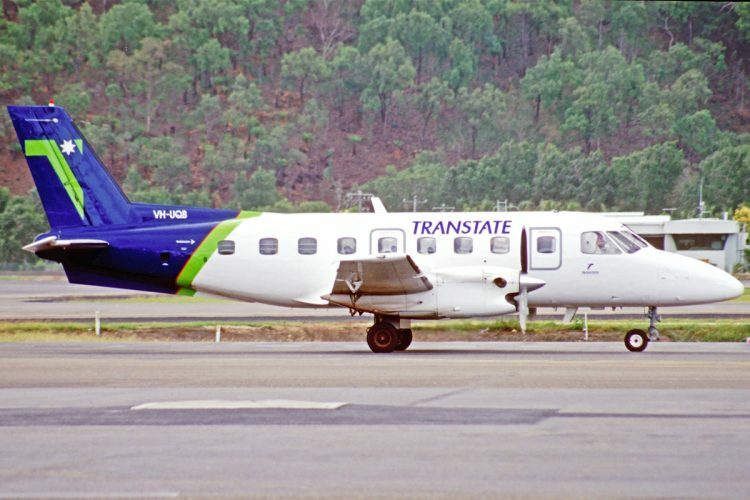 The ATL-100 is a commuter aircraft, which is usually restricted to aircraft with turbo-propeller engines, with a capacity of up to 19 passengers, maximum take-off weight of around 8,600 kg and without a pressurized cabin. 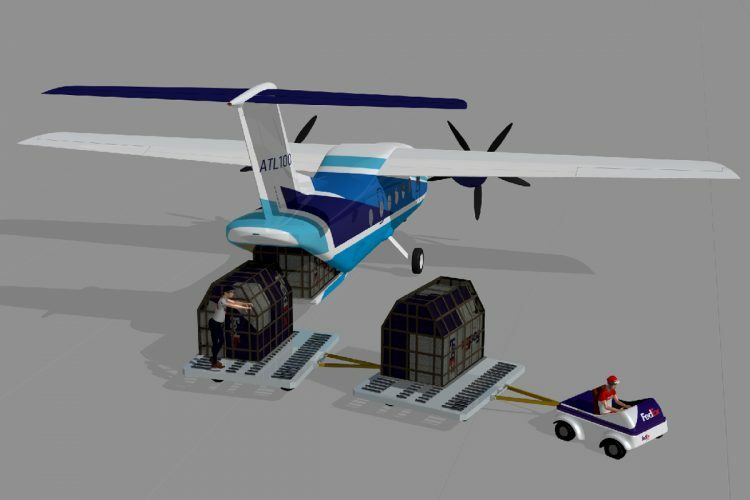 The Desaer project also includes some features that increase the performance and operational possibilities of the aircraft, such as the high wing and fixed landing gear set (the Bandeirante, for example, has low wing and retractable landing gear). These components are ideal for airplanes designed to perform heavy duty tasks, such as landing and taking off from semi-prepared land or grass tracks – or even locations with no preparation at all. “This is a type of plane that never dies. 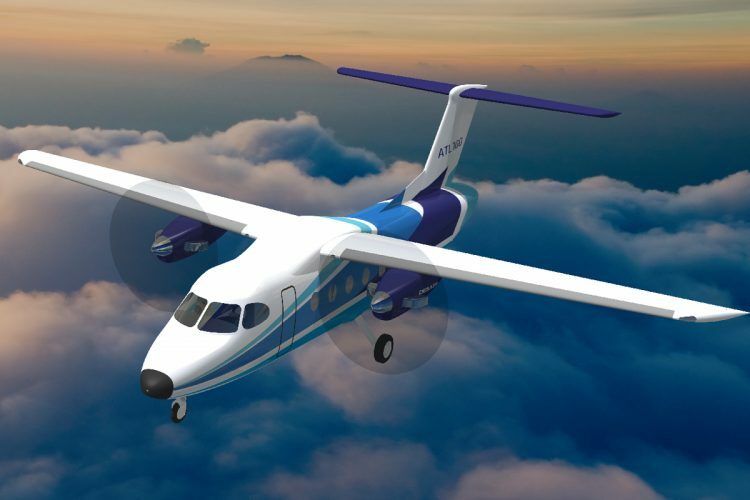 The problem is that the main products of this category are all old, from the 1960s and 1970s, such as the DHC-6 (Twin Otter) and Bandeirante itself, “said Desaer’s founding partner. Fileno also cited a market survey that points to the need for 2,100 new commuter planes over the next 20 years. “Someone needs to fill this gap and this movement will also happen in Brazil,” he added. Despite being new to the market, Desaer is already attracting attention. “The Brazilian military has already shown interest in the ATL-100, as has Embraer and even Boeing. We have already talked to Azul Airline, which is interested in this line of aircraft for regional aviation, “said Filemo. 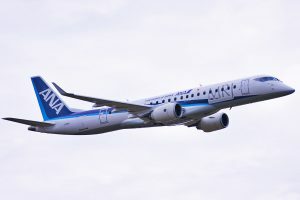 “The focus of Desaer is to operate in markets that have been abandoned by Embraer. In addition to a substitute for Bandeirante, we also think of larger airplanes as a substitute for Brasilia (EMB-120), “said Filemo. The name ATL-100 is an acronym for “Light Transport Airplane”. 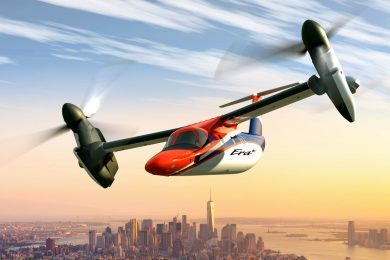 According to data from the manufacturer, the model is designed to fly the maximum speed of 232 knots (and cruise of 205 knots) and will have a range of approximately 1,080 nautical miles (2,000 km). 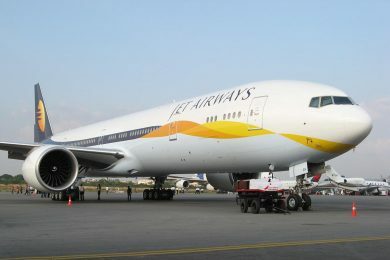 The aircraft also has price: US $ 5.5 million. 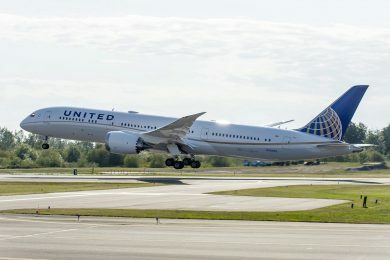 “We want the plane to be fully autonomous at airports, so it will be equipped with a rear ramp. In this way it will not be necessary specific equipment and vehicles of support in ground to make the shipments and landings of loads. This is easier and cheaper, “said Fileno. The official launch of the Desaer ATL-100 project is scheduled for October 17, at the Technological Institute of Aeronautics (ITA) in São José dos Campos.